1. The other day I was feeling VERY crafty. I painted two landscape paintings, crocheted a plant cozy and a candle cozy, and made a yarn wallhanging (pictured). It was a pretty fabulous day. There are more pictures of the wallhanging on my Instagram, including the full piece. 2. This is one of the above mentioned landscape paintings along with a couple lovely succulents and a rock Charles got in India. This 4x4" piece is the first painting I've created in LA. Sadly, I had to leave all my art supplies back in North Carolina due to space constraints in my car, but I finally purchased a few brushes, paint, and some canvas to get the West Coast party started! Thanks, Blick! 3. I attended the opening of One Tribe at Woven Accents last week. 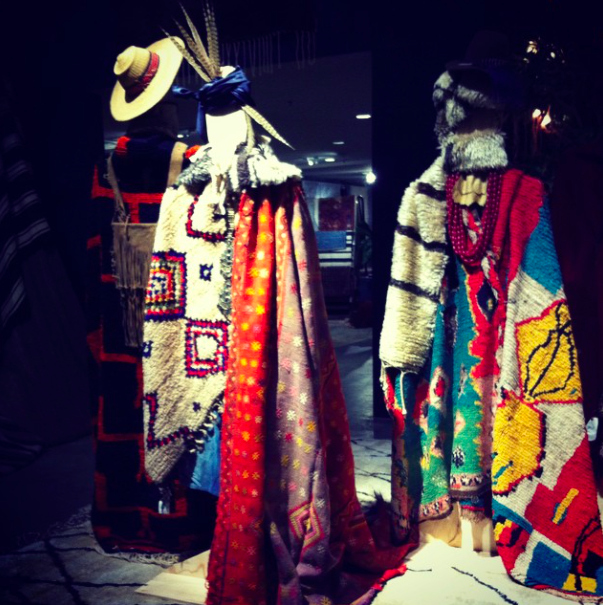 The installation was created by our Visual Manager at West Elm, CJ, in collaboration with RTH and consisted of over ten eight-foot wooden figures dressed in antique rugs from all over the world. Many of the rugs were over $15K each! We looked. The figures were like deities, and the tribe evolved the more you stood there observing it. You should swing by and take a gander while it is still up! 4. I saw photos of ice-cream cones from MILK while living on the East Coast, and I finally tried it out for myself! I had the nutella ice cream, and it was oh so delightful! 5. I also checked out Sqirl a few weeks ago. Pictured is the polenta special with a fried egg on top. We've been three times now. IT. IS. AMAZING! 6. For Thanksgiving, Charles and I joined our friends Robby and Brandi for a swim at Deep Creek Hot Springs. It is about an hour and a half north of LA (although it took us THREE hours to get there due to Turkey Day traffic). Beautiful scenery. Lots of naked bodies. Loads of fun! Haha. 7. This is me enjoying the sunshine at Griffith Park on my day off. A shameless selfie. That is all. 8. 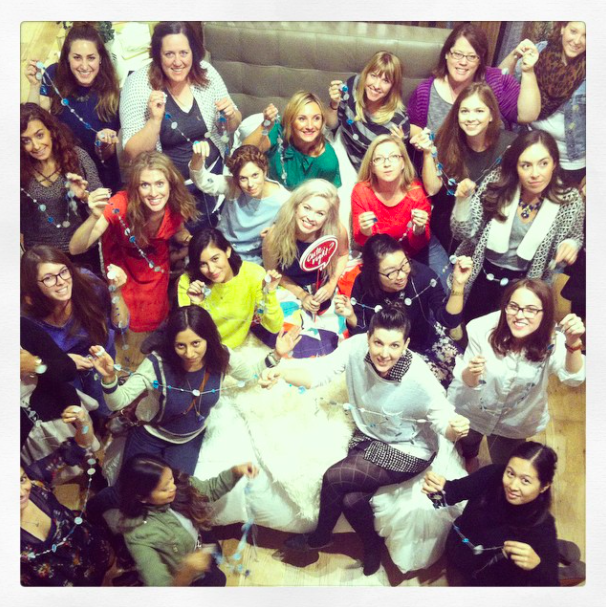 We hosted a DIY Holiday Garland Workshop with designlovefest at West Elm LA! Here is Bri's post telling you all about it! I must say, it is very cool to be living in the same city as and bumping shoulders with designers and bloggers I read about while living in North Carolina. Surreal! 9. Charles bought me a rock climbing gym membership for my birthday (because he is the BEST! ), so I am now climbing consistently again and getting stronger! LA Boulders is where it's at! Thanks for journeying with me! Merry Christmas, and Happy New Year!